Link acquisition for enterprise level companies is unique. A link campaign for a major brand will be quite different than a link building project for a smaller local store, or even an emerging mid-market company. While the power of a large, established brand can offer distinct advantages, there are also a number of complications that come with building links for enterprise-level businesses. Managing established brand equity, which must be well-represented and protected. Higher competition level, requiring more investment and work to move the needle. More bureaucracy, red tape, and other active marketing initiatives, which means there’s an increased need for integration. 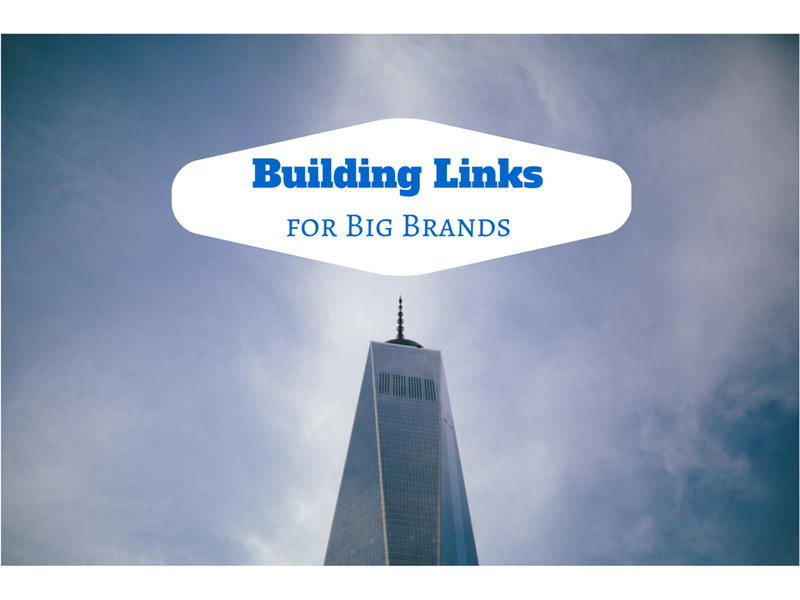 Let’s look at some keys to success that can help large corporations earn links. These are the most essential pillars of enterprise link acquisition. As an enterprise level company, your brand is one of your best assets. As such, you want to protect that brand, which means brand assimilation is a crucial part of link acquisition. Anyone who is reaching out and promoting your site for links must be able to represent your brand appropriately. Link building involves personal interactions that can have an impact on your brand’s reputation. All outreach must exhibit consistency with your unique brand messaging and voice. Protecting your valuable brand is important, and any link promotion needs to assimilate to your unique branding. As a large company, you already have many different marketing initiatives in play. Your link strategy must integrate into your already active campaigns. Because links are still an emerging channel for the enterprise level, it makes more sense to jumpstart link acquisition by leveraging your existing initiatives. Major brands mean major competition, so to maintain a prominent position in search you can’t leave any link opportunities on the table. Integration is essential to taking full advantage of all the opportunities offered to you. The marketing activities your brand is already implementing will generate fresh link opportunities, and you must ensure you are getting maximum value by securing these links. Enterprise link building starts with integration, and making links a priority within your other digital marketing efforts. Because you’re a big brand you will have more competition and be more widespread, typically within many different markets. This means link acquisition has to scale in order to achieve meaningful results. As this team learns more and develops best practices, they can bring in others and train them faster and more efficiently. As you build your link acquisition team, you will also need to build momentum for your campaign. Integration comes into play here again, as it becomes much easier to build momentum through collaboration with other marketing departments and activities. For example, you link team can work in conjunction with a specific PR campaign to ensure you’re earning all the links you deserve. As your team manually promotes and engages they will naturally build relationships and partnerships that will provide more link opportunities down the line. Also, these positive connections will lead to increased amplification. Generating more amplification and link opportunities naturally builds momentum for your project. By starting with a small team you can build a solid foundation for your campaign, and then grow your link building team as the project grows and gains momentum. Using this approach you can develop an effective link campaign while maximizing efficacy along the way. Issues with scalability can derail an enterprise link campaign before it ever gets off the ground. More bureaucracy, red tape, and other active marketing initiatives; which means there’s an increased need for integration. Accounting for these three pillars of enterprise link building will increase your chances for success and help you achieve meaningful results.